This book discusses light-based science, emphasizing its pervasive influence in science, technology, policy, and education. A wide range of contributors offers a comprehensive study of the tremendous, and indeed foundational, contributions of Ibn al Haytham, a scholar from the medieval period. 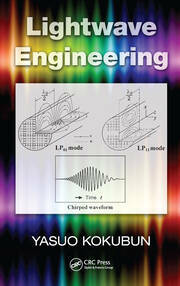 The analysis then moves into the future development of light-based technology. 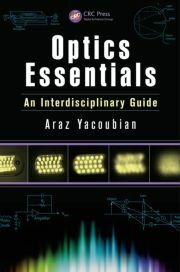 Written as a multi-disciplinary reference book by leading scholars in　the history of science and /or photonics, it covers Ibn al Haytham’s optics, LED lighting for sustainable development, global and atomic-scale time with new light sources, advanced technology, and vision science. Cutting-edge optical technologies and their global impact is addressed in detail, and the later chapters also explore challenges with renewable energy, the global impact of photonics, and optical and photonic education technology. Practical examples and illustrations are provided throughout the text. Chapter Seven: Ibn Al-Haytham: Founder of Physiological Optics? 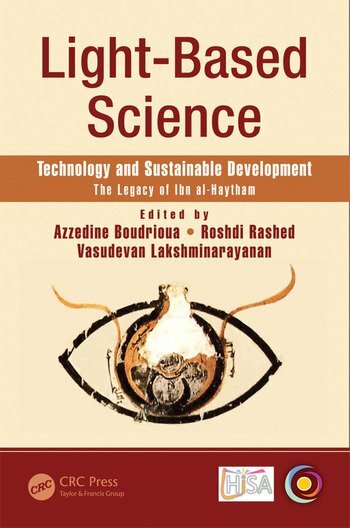 Chapter Fifteen: Need to Create International Science Centres in Arab Countries"
Roshdi Rashed is the author of several books and scientific articles in History of Science. He is currently Emeritus Director of Research (special class) at CNRS (France). He was director of the Centre for History of Arab and Medieval Science and Philosophies (until 2001) Paris, and also director of the doctoral formation in epistemology and history of science, Paris Diderot University (until 2001). He is Emeritus Professor at Tokyo University, and at the Mansoura University, and also at the Paris Diderot University. He was a founder (1984) and Director (until May 1993) of the REHSEIS (Research Epistemology and History of Science and Scientific Institutions) research team, CNRS, Paris. He had several distinctions including: the CNRS Bronze medal (1977), Knight of the Honour Legion (1989), the Alexandre Koyré medal of the International Academy for History of Science (1990), the history of science medal and award of the Academy of Sciences for the Developing World (1990), medal and award of Kuwait Foundation for the Advancement of Sciences (1999), Avicenna gold medal of UNESCO (1999), medal of CNRS (2001), medal of the Arab World Institute (2004). He had several honorary positions as Vice-President of the International Academy of the History of Science (1997), member of the Royal Belgian Academy of Sciences (2002), member of the Tunisian Academy "Bayt al-Hikma" (2012). V. Lakshminarayanan (Ph.D. University of California at Berkeley) is currently a professor of vision science, physics and Electrical and Computer Engineering at the University of Waterloo. He has held visiting and faculty appointments at the universities of California at Berkeley, at Irvine, University of Missouri, the University of Michigan, Glasgow Caledonian University and the Indian Institute of Technology, Delhi. He is also an adjunct professor of Electrical and Computer Engineering at Ryerson Unversity (Toronto). He has had numerous honors, including Fellow of OSA, SPIE, AAAS, APS, IoP, etc., a senior member of IEEE and the recipient of a number of awards including most recently the Esther Hoffman Beller medal of OSA (2013), and the Optics Educator award of SPIE (2011). He has been a KITP Scholar at the Kavli Institute of Theoretical Physics at the University of California at Santa Barbara. He was a AAAS science an technology policy fellow finalist and serves on the optics advisory board of the Abdus Salam International Center for Theoretical Physics in Trieste, Italy. He is a founding member of the UNESCO ALOP program. He also served as member at large of the US IUPAP committee of the NAS, the Chair of the US International Commission on Optics committee, Chair of the APS Committee on International Scientific Affairs, a member of the international steering committee of the International Year of Light 2015, a member of the education committee of the National Photonics Initiative and has served as a director of OSA. He is a consultant to the ophthalmic and medical devices section of the FDA (from 2013). He is technical editor or section editor of a number of journals including Journal of Modern Optics (from 2003) and Optics Letters (from 2010). He is currently the Chair of the education committee of SPIE (2015-2017) He has authored or edited about 12 books, and over 300 publications in topics ranging from optical physics and engineering , neuroscience, bioengineering, applied math and ophthalmology/optometry. "I enjoyed reading this book written by world-leading scientists and historians with much experience in the history of science in general and science of optics; this is the main strength of this book. Another strong aspect of the book is that it's an international collective effort, containing contributions from people with multi-cultural and multi-faith backgrounds." "… a true presentation of the journey of science of light, starting with the pioneering works on optics by Ibn al-Haytham – an Arab mathematician and physicist, a thousand years back, and the influence of his scientific methods on the European renaissance. Ibn al Haytham was like a pole star, whose light guided the future scientists like Newton, Fresnel, Maxwell, Einstein and many others to unravel the mysteries of light." "This book is very interesting: short complementary sections with high-level information on science evolution, technology and development over time and over space." "The broad approach includes cultural, social and historical aspects of light-based science and technology, and the chapters are written by international scholars with a wide range of backgrounds. 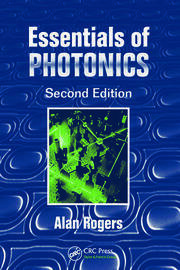 The book will be very valuable to science historians, and people working in optics, photonics, vision science and many other light-based technologies." "This book contains the contributor’s presentations at a 2015 conference to celebrate the legacy of Ibn al-Haytham (965-1040)—specifically, his philosophical, mathematical and experimental works as contained in the first three extant books of his Book of Optics. For readers who are not familiar with the translations and extensive scholarly commentary of A. I. Sabra, and A. Mark Smith, this book is a recommended introduction. The excellent chapter on physiological optics is comprehensive and makes a strong argument that Ibn al-Haytham is indeed the founder of physiological optics." "The excellent chapter on physiological optics is comprehensive and makes a strong argument that Ibn al-Haytham is indeed the founder of physiological optics."